Electric cars have come a long way in recent years, with a variety of high-performance vehicles available for every price range. Keep your electric car safe from theft, pick up performance data and give yourself peace of mind with a vehicle tracker from TrackerFit. The GPS trackers respond if a vehicle is stolen, locating the car and helping the authorities return it to you. 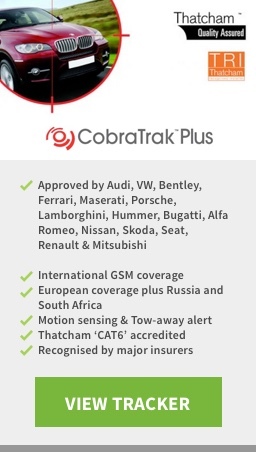 These trackers are useful in private, corporate and fleet vehicles. If you’re an electric car driver, TrackerFit has a number of trackers that could suit your needs. Compatible with electric cars, Tracker Locate operates using an innovative VHF (very high frequency) signal. This provides accurate location across the UK and many parts of Europe. The trusted tracker can be located even in underground car parks and inside containers, and the motion sensor technology alerts the user to any unauthorised movements. Cost effective with built in anti-jamming as standard. 24-hour national emergency call centre. Installed by a Tracker approved engineer at home or work. Approved by all major insurers. 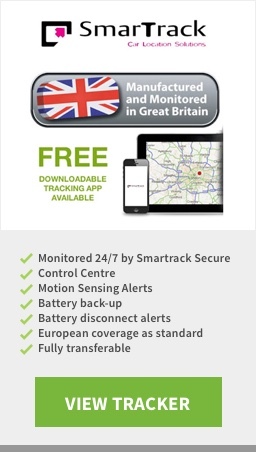 If you're looking for versatile electric car trackers that incorporate the latest technology, SmarTrack Protector Pro Global is for you. With no external aerials, the tracker is as covert as can be, with sophisticated GPS technology offering unrivalled tracking capabilities. Not only that, but SmarTrack Protector Pro Global offers worldwide tracking - perfect for users who aren't always in one place. These industry-leading electric car trackers use internal aerials that won't be clocked by potential thieves or damaged by inclement weather. Combined with an IP67 waterproof casing, you won't find a more robust product. Free Global Telemetrics Android/Apple app. Approved by the likes of Ferrari, Porsche and Audi, the Vodafone Protect + Connect 6 tracker for electric cars is a game-changing piece of technology. Motion sensing alerts, tamper alerts and pan-European coverage all work together to ensure that your vehicle is always protected. This tracker also sends out tow-away alerts, which are triggered when the ignition is switched off but motion is still detected. Combined with a complementary international roaming SIM card, this tracker covers all eventualities. Fully transferable to a new vehicle. For more information, call us on 0800 7565100. Lines are open 9am - 6pm Monday to Friday.